At GSSI (Geo-Steering Solutions Inc.) we develop software that helps ourselves and customers steer horizontal wells through complex subsurface geology. We drill horizontal wells, like the one shown below, in order to maximize reservoir production while minimizing drilling costs and environmental impact. To give you some scope, realize that the above diagram shows a well that was drilled about 2 miles beneath the earths’s surface and 1 mile long. All by using a tool to essentially listen to the natural gamma signature from the rock. This information is then sent from the drillbit in a form of Morse code, through the drilling fluid. These pulses provide a response curve that is able to measure characteristics of the rock. The geo-steers (all trained geologists), then use our software, Geo-Direct, to help them model the subsurface geology and steer the drillbit through the target rock formation. Certainly, no easy feat, and a task often complicated by poor or lost data. However, the task is 100% data driven and therefore perfect for machine learning. The AI technology that is playing the above game rocked the tech world in 2015 and brought to the forefront the power of reinforcement learning. Reinforcement learning is a deeply specialized area of machine learning that is based on control theory and animal behavior. In the example game above, all the algorithm or agent sees is the game’s screen shots. Then through a process of trial and error reinforced by rewards, the agent incrementally learns to play the game better than humans. In fact, the agent is able to develop it’s own winning strategy, as shown in the video, in order to do so. At GSSI we have already worked with the more cutting edge deep learning architectures, from convolutional neural networks to sequencing recurrent convolutional neural networks. All with the hopes of identifying characteristic markers or features in the data steaming from the rig. While identifying these visual markers on their own is relatively easy, the issue becomes one of context or understanding past events. Often times, a geologist is only able to identify a marker by understanding what type of rock or markers that may have come before it or after it. Keeping in mind that as the well is drilled it is possible for the rig to steer in and out of the targeted rock formation or for the geology itself to fault, dip or slip. With all these factors at play, reinforcement learning makes perfect sense as the optimum and perhaps only solution. Of course we have a lot of work left to do, but the above demo only took about a week to build and customize. With the advent of more and more powerful Machine Learning technologies we are sure these results will only get better. 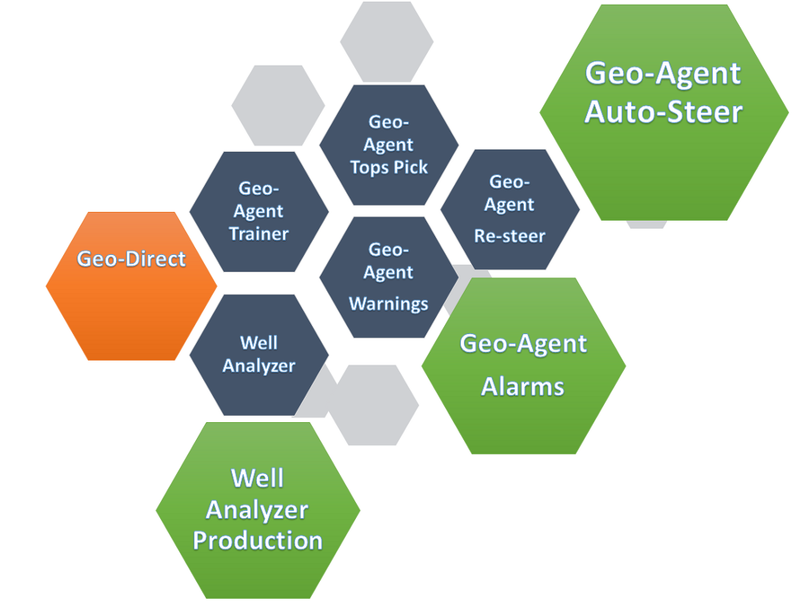 Geo-Direct is our existing software that our geo-steering geologists and customers use 24/7 to steer wells. On top of this we initially plan to release the areas in dark blue within the next 6 months. 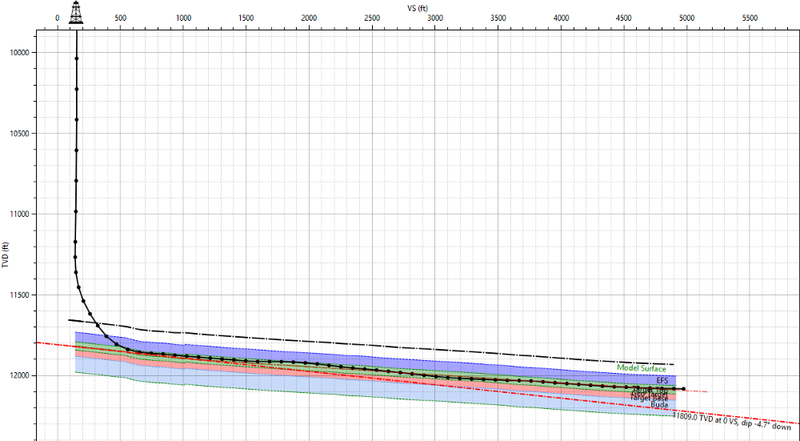 This will include the Trainer, Well Analyzer and Geo-Agent for tops picks, warnings and re-steering. The Geo-Agent Training module will allow our staff and customers to train deep learning networks on specific basin data, kept in our proprietary well file format and/or using wireline LAS logs. This will allow customers to build their own deep learning models with their own data or purchase general basin models from GSSI. The WellAnalyzer module will allow customers to analyze well steering performance on multiple wells in order to provide insights into optimizing production and directional drilling performance. If you are interested in discovering the capabilities of our other modules please contact GSSI. Next Post:Google Colab is a goldmine for Machine Learning or Deep Learning Enthusiast.